We've made adding images to notes even faster! 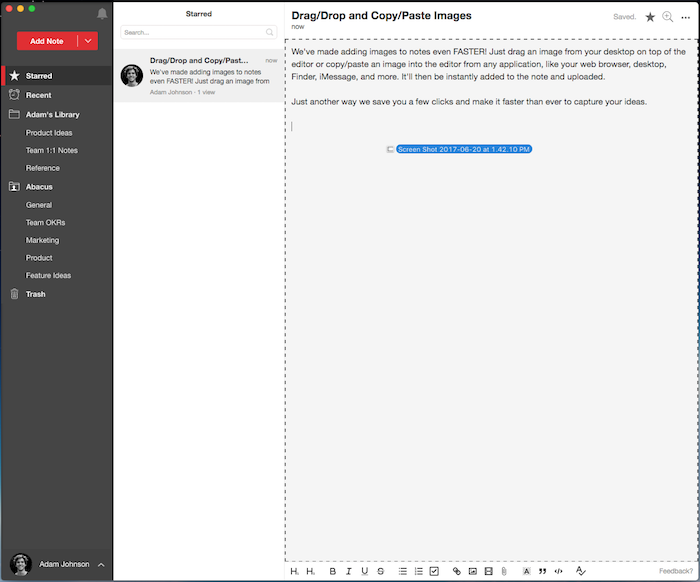 Just drag an image from your desktop on top of the editor or copy/paste an image into the editor from any application, including your browser, desktop, Finder, a screenshot, iMessage, and more. It'll then be instantly added to the note and uploaded. Just another way we save you clicks and make it faster than ever to capture your ideas.